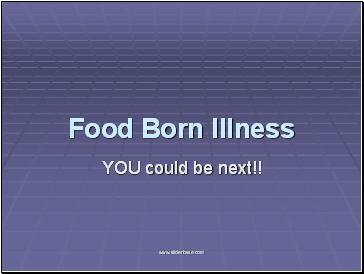 What is food born illness? 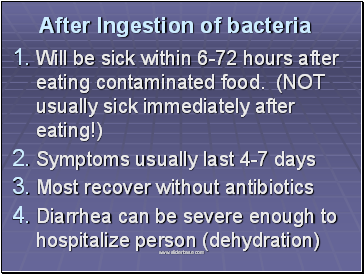 Illness resulting from eating food contaminated w/ a bacteria or virus. 1. 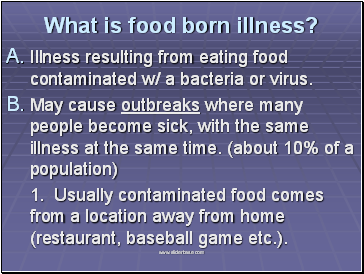 Usually contaminated food comes from a location away from home (restaurant, baseball game etc.). 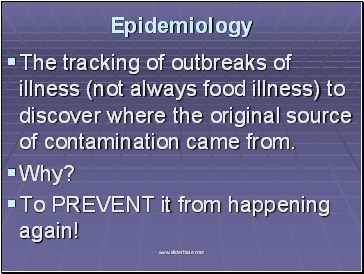 The tracking of outbreaks of illness (not always food illness) to discover where the original source of contamination came from. To PREVENT it from happening again! a. 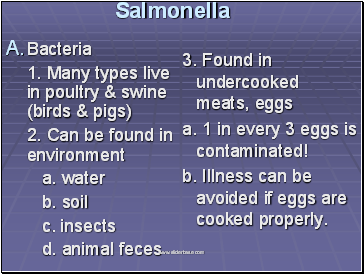 1 in every 3 eggs is contaminated! b. Illness can be avoided if eggs are cooked properly. 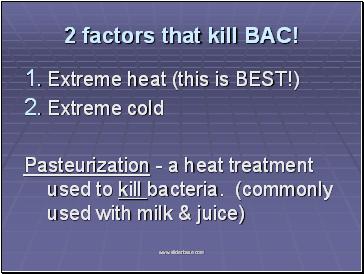 2 factors that kill BAC! 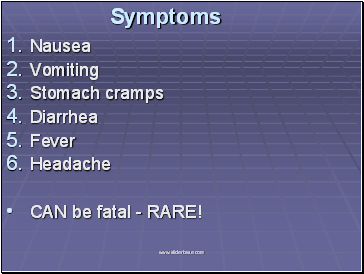 CAN be fatal - RARE! 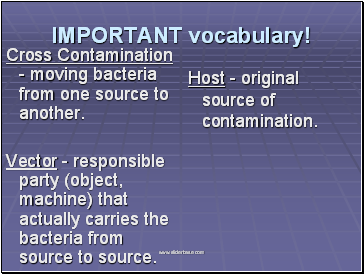 Bacteria that produces a powerful toxin & can cause severe illness. 2. Live in intestines of healthy humans & animals. 3. Found in undercooked ground beef & non-pasteurized milk. A. 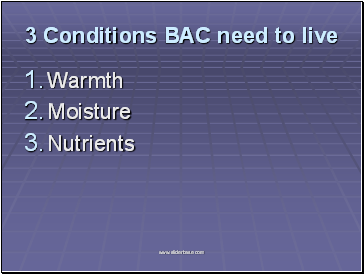 Meat can become contaminated during cattle slaughter. 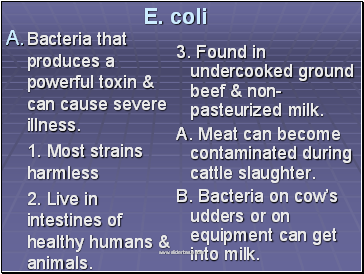 B. Bacteria on cow’s udders or on equipment can get into milk.